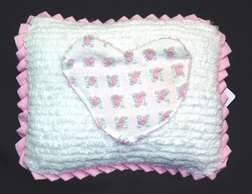 This is the cutest chenille tooth fairy pillow for little girls. She just places the tooth in the pocket near her pillow and the Tooth Fairy places the prize inside. 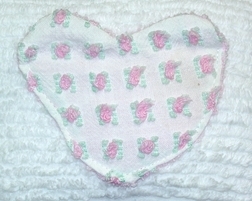 The tooth pillow is made of chenille with pink fabric trim, and has a rosebud chenille pocket in the shape of a heart.